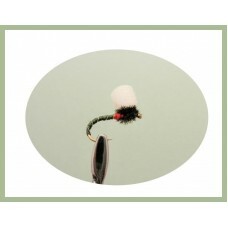 Suspender buzzers flies are an excellent still water trout fly imitating an emergent pupa, a time in the life cycle of natural flies that the trout are always interested in. 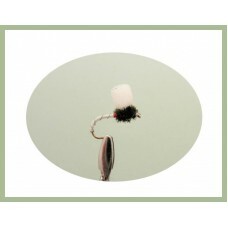 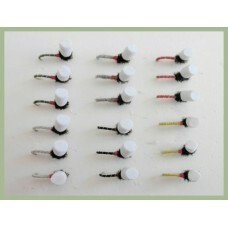 The suspender buzzers come in a choice of colours being black, white, olive and Hares Ear. 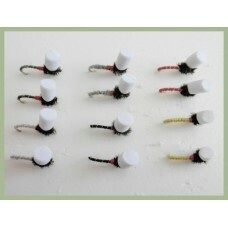 The suspender buzzers also come in a choice of sizes, check out the variety pack on these supper buzzer flies. The Suspender Buzzer is best on a floating line and long leader with fine diameter tippet of 3 or 4l.. 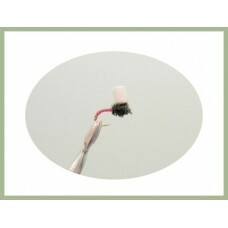 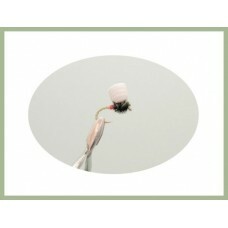 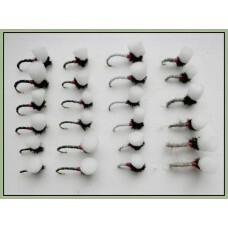 Handy pack of 12 Buzzer Trout Flies contains the following: Please Select Sizes Required2 x Bla.. 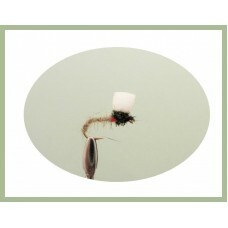 Handy pack of 12 Buzzer Trout Flies contains the following: Please Select Sizes Required6 x Bla.. 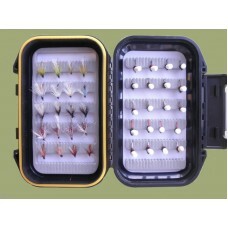 Handy pack of 12 Buzzer Trout Flies contains the following: Please Select Sizes Required4 x Bla.. 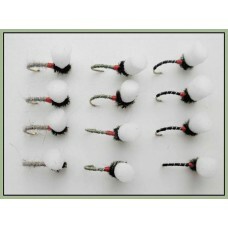 Handy pack of 12 Buzzer Trout Flies contains the following: Please Select Sizes Required3 x Bla.. 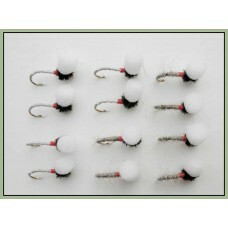 Handy pack of 12 Buzzer Trout Flies contains the following: Please Select Sizes Required6 x Har.. 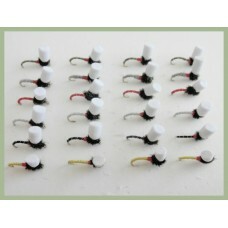 Handy pack of 18 Buzzer Trout Flies contains the following: Please Select Sizes Required3 x Bla..
24 Suspender buzzer fishing flies in a handy pack. 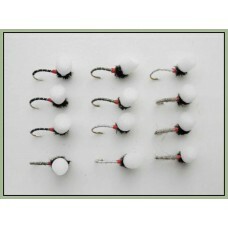 Choice of Sizes6 x Black Suspender Buzzer 6 ..
24 Suspender buzzer fishing flies in a handy pack. 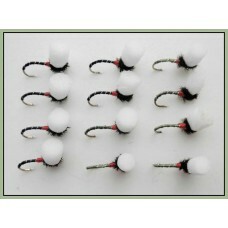 Choice of Sizes4 x Black Suspender Buzzer 4 ..